Wed., Dec. 20, 2017, 5:44 p.m.
There’s nothing like a confidence-booster going into a big game. 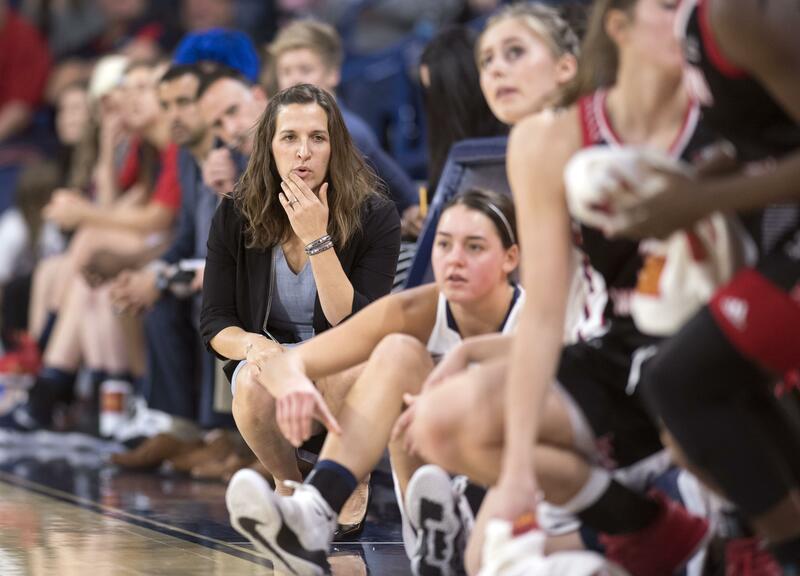 The Gonzaga women got theirs in Sunday’s exhibition win over Saint Francis, as a patched-up bunch of Bulldogs rolled to an easy win and set a few records in the process. However, that didn’t compare to what happened Monday night at Stanford, where Western Illinois knocked off the 18th-ranked Cardinal for the program’s first win over a ranked team. It also was the biggest win in school history for the Leathernecks, whose next game is Thursday night at Gonzaga. If Western Illinois didn’t have GU’s attention before, they have it now. “We’re excited to show what we can do,” Stockton said. Leading scorer and rebounder Jill Barta (19.4 ppg. 9.4 rpg) saw limited action Sunday as she continues to recover from an ankle injury. Senior point guard Emma Stach, who underwent concussion protocols following a collision late in the UNLV game on Dec. 9, also is expected to play Thursday. Thursday night’s game at the Kennel gained some status after Western Illinois improved to 10-2 with the big win at Stanford. Outperformed in most categories, the Leathernecks won 71-64 by forcing 19 turnovers, challenging the Cardinal inside and making 20 of 26 free throws. “They really swarm when you get the ball inside,” said Fortier, noting that the Leathernecks are thriving with a 1-3-1 zone and strong outside shooting. “They keep you off-kilter at both ends,” Fortier said. GU could return the favor if it can replicate Sunday’s performance in the 97-74 win over Saint Francis. The Bulldogs shot 60.6 percent from the field, their best mark inside the Kennel. GU’s 40 field goals were the most since getting 36 against San Francisco in 2014. “The shots were falling and we rebounded really well,” said forward Zykera Rice, who led the way with Sunday with a career-high 23 that also earned her player of the week honors from the West Coast Conference. And with WCC play only a week away, “That gives us a standard to hold to – we just have to hold ourselves to that,” Rice said. Published: Dec. 20, 2017, 5:44 p.m.